Apart from its world-class mangoes, pristine beaches and diverse resources,the province of Guimaras has a rich history that is worth sharing. R. Morales Maza, in his book “The Augustinians in Panay” (1987), wrote that Spaniards who were defeated in Mactan Island fled to Guimaras in 1521. “Spanish survivors flee from Mactan Island after their defeat and cruise closed to the southern coasts of Negros and Panay. Thus, giving the name Guimaraes to the small island lying very near to Panay, in order to immortalize in this part of the world ‘the first capital of his (referring to Antonio Pigafetta) country and the birth place of Portuguese nationality,” Maza wrote. In 1572, the island was home to highly skilled carpenters who are masters in building all kinds of ships. At that time, Miguel Loarca was the encomiendero of the entire island, which was later inherited by his daughter Doña Lucia de Loarca. This is according to the book “The Oton Diggings” by Jose B. Tiongco, 1969. In 1609, Mindanao chiefs who attacked the town of Arevalo (formerly in Oton) came to the island to rest. Thus, Guimaras was under the jurisdiction of Otonin 1731. 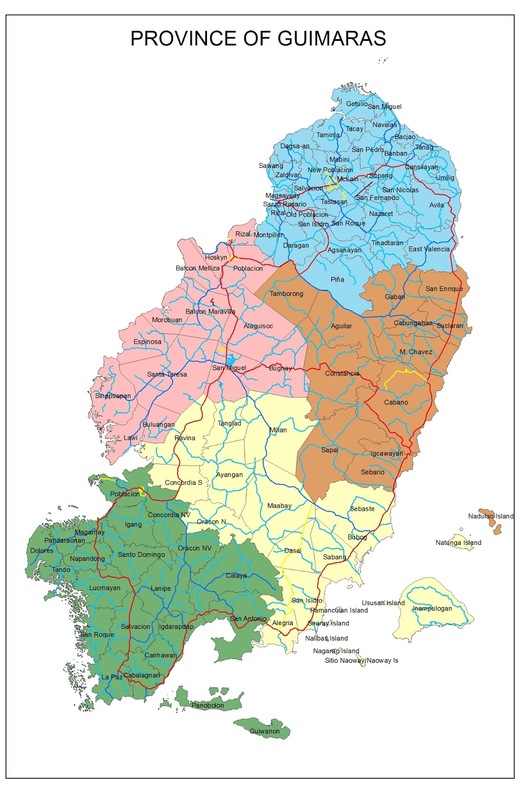 In 1742, it was placed under the jurisdiction of Dumangas when the Augustinian order ceded it to the Jesuits. However, Guimaras was taken over by the Dominicans in 1768 and made the island a parish of Iloilo. Guimaras was so beautiful that Americans fell in love with the place. According to Felix B. Regalado and Quintin B. Franco in their book “History of Panay” (1973), a zoology professor from the University of Michigan and his companions stayed in Salag Daku (now Barangay Zaldivar) to regain their health and gathered valuable materials in 1887. This man was Dean C. Worcester, who later became a member of the Philippine Commission. The year 1894 saw the construction of the now famous tourist destination Guisi Lighthouse in Nueva Valencia. Made of metal and fibreglass, it was named as Punta Luzaran Lighthouse Station (Farro de Punta Luzaran). It became a symbol of international acknowledgement as a strategic navigational landmark for the world’s economic sustainability and development. Then came World War II and the turmoil created by war did not spare Guimaras. In 1943, Japanese soldiers massacred 998 people, according to the book “Guerilla Warfare in Panay Island Philippines” by Col. Gamaliel Manikan, Ret. Armored Cavalry. Caption: The island of Guimaras populary known as the "mango country". In 1966, Guimaras Island was declared a sub-province of Iloilo. But in 1992, then Governor Catalino G. Nava, MD. initiated a plebiscite to push for the island’s provincehood. It was in the year 1969 when Guimaras was envisioned as a potential “Mango Island”. The vision started with the development of a mango nursery on 8.872 has. of land donated by Romirico Chavez and late SenatorOscar Ledesma and through the initiative of then BPI regional director Pedro M. Asico. Guimaras became a full-fledged province on May 22, 1992 and its first governor was Emily Relucio-López. Then in 2006, the worst oil spill in the history of the Philippines happened. Guimaras’ tourism came to a standstill when the 998-ton M/T Solar 1, carrying 2.4 million litres of bunker fuel, sank 17 kilometres off the island's southern coast and contaminated the sea and beaches. About 1,000 hectares of mangroves were affected including the Taklong Island National Marine Reserve. Through immediate clean-up and rehabilitation efforts, the island regained its health back and to this day, continues to be one of the most visited tourist destinations in the country andthesource of the sweetest mangoes in the world. To join in the province’s celebration of its resilience and success, Guimaras’ five municipalities namely; San Lorenzo, Sibunag, Jordan, Nueva Valencia and Buenavista, is holding the 3rd Manggahan sa Kabanwahanan which officially kicked off last April 1 and will run upto May 22. The celebration started with a grand caravan that signalled the start of the Manggahan Sports Festival last April 1. The sports activitieswill end onMay 22.